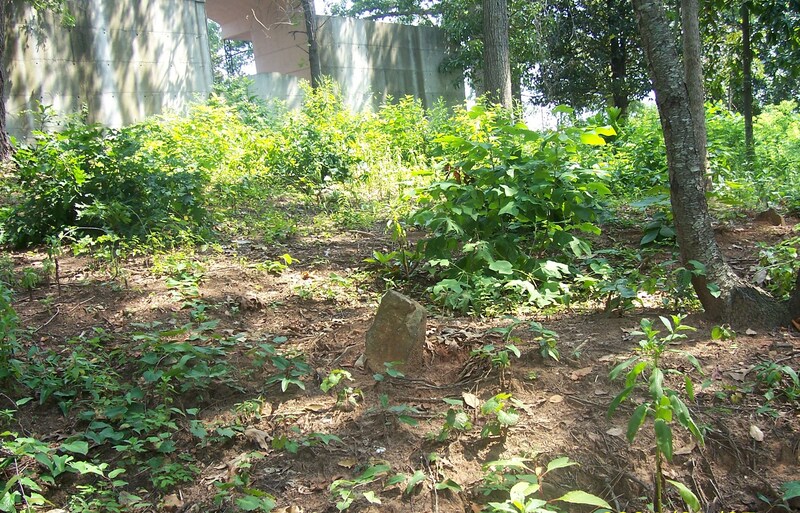 31 August 2010: Tombstone Tuesday ~ Rock Springs Cemetery….Found!! On 15 September 2009, I posted on my blog for Tombstone Tuesday Rock Springs Cemetery…Not! 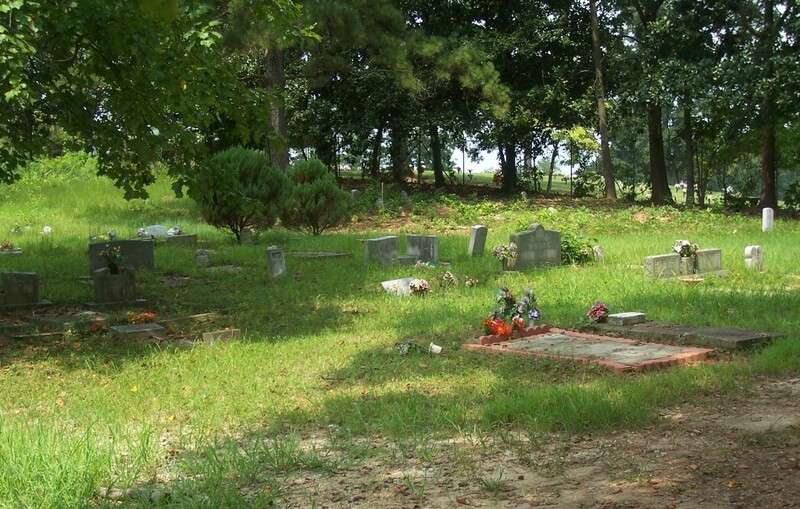 On 17 November 2009, I wrote, again for Tombstone Tuesday, Another Rock Springs Cemetery…The Search Continues. On 2 February 2010, in observance of Black History Month, I posted on Tombstone Tuesday Rock Springs Cemetery- Lest I Forget. These three posts were about my search for Rock Springs Cemetery the burial place of my great grandfather John Wesley Taliaferro, his brother Bob Toliver (aka Robert Taliaferro), and another relative Alex Poole. Those posts reflect the disappointments of the journey, but also my faith that one day I would find Rock Springs Cemetery. Along the way, I talked to many experts and those knowledgeable in cemeteries in the metro Atlanta area; none of them knew anything about Rock Springs-had never heard of it. I contacted the Georgia Archives and several local Historical Societies, but no luck. I was advised to give up. They felt the cemetery was gone, most likely lost to progress. But, I could not let go. Something kept nagging at me- a strong feeling that it was out there somewhere, and one day I would find it. Well, that day is finally here, and I am filled with a sense of peace and satisfaction that I have finally found Rock Springs Cemetery. 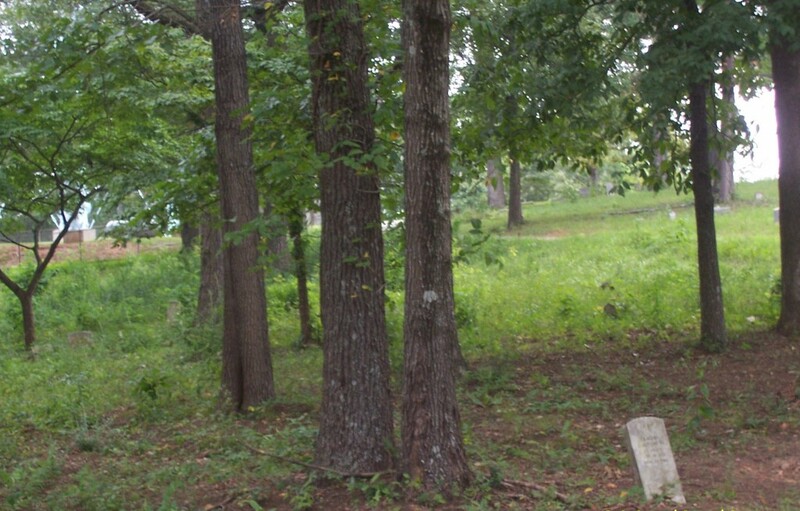 On Wednesday, 25 August 2010, I received a tweet which said – “I know where Rock Spring cemetery is located. My relatives are buried there.” I could not believe what my eyes were seeing. I had waited for, prayed for, hoped for this moment. Quickly, I sent a direct message back with my email address. “PLEASE contact me!” I waited. 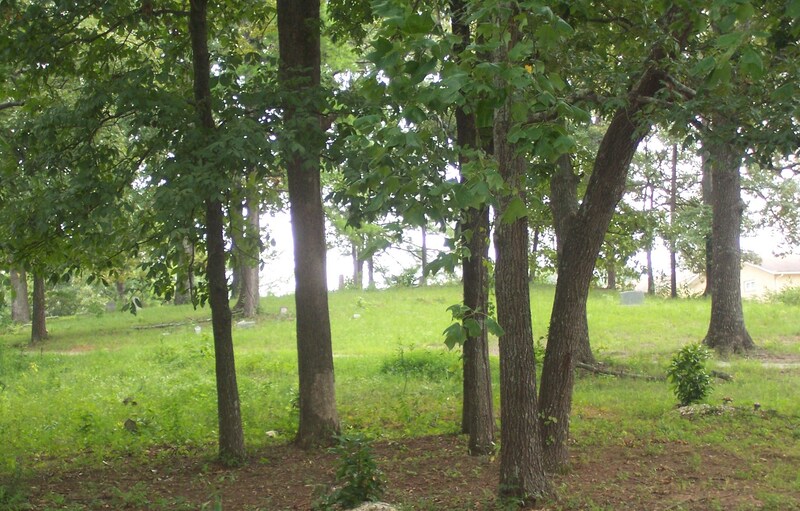 On Thursday afternoon, 26 August 2010, I received an email inquiring if I was really interested in finding Rock Springs Cemetery. Really interested?? Are you kidding me? That was an understatement if I ever heard one. The sender also gave me their surname which I knew from my research belonged to some of the people buried in Rock Springs. My excitement was growing; this just might be the real deal. OMG!!! Anxiously, I emailed back with a few more details about my interest in Rock Springs and my relatives who are buried there. I waited. Later in the day I received another email asking whether I was from Atlanta, and telling me that “if we are on the same page” Rock Springs Cemetery was in Forest Park, GA. YES!!! Same page, same paragraph, same sentence, same place…Rock Springs Cemetery. Chills up my spine…goose bumps!! This was great news, but WHERE in Forest Park, GA?? I frantically emailed back. “Yes, from Atlanta…, live here now…, born and raised. My brother and I have traveled up and down Jonesboro Road, including the Forest Park area, up and down the side streets too, many, many times. Very excited…really appreciate you contacting me. Can you PLEASE give me the location of Rock Springs Cemetery?” I waited…and waited..and waited. Friday, 27 August 2010. I don’t remember sleeping, but I must have ‘cause I remember waking up. I decided not to check my email first thing, just in case there was no response. I did a few other things then casually opened my email….la de da. A quick glance..nothing. My heart sank. Exhale. Another glance, and there it was with the subject line – Directions to Cemetery. My brother was dressed and ready in his “cemetery exploring” clothes with camera in hand before I could finish reading the directions, and sending out a quick thank you email. The directions were incredibly easy to follow. In no time we were there…off the interstate, three lights, a right, pass the cement wall and there it was…the dirt road leading into Rock Springs Cemetery…on Conley Road in Forest Park, GA. There are no signs or markers pointing “this way” to Rock Springs, but there it is. On the day of our visit, Rock Springs was overgrown with weeds and littered with limbs and debris. However, my contact (who I won’t name for privacy reasons) informs me that this is not the normal condition of the cemetery. The cemetery was cleaned to perfection in early Spring, and what we witnessed on our visit was new vegetation that has grown in since that time. A lawn service is scheduled to come for another clean-up very soon. Once the clean-up is done, I’ll be sure to post updated pictures. It’s great to know that this historic African American cemetery is loved and has not be forgotten. I now know some of the history of Rock Springs Cemetery; two acres were purchased for the cemetery by my contact’s ancestor, it was deeded in 1893, and it is also known as Macedonia Cemetery. I have seen that name in my research, but never made the connection to Rock Springs. I know that a relative buried their infant son in Macedonia, and I thought it interesting that he was not buried at Rock Springs, but he actually was I just didn’t know. Talk about pieces of the puzzle coming together. It’s funny how you know more than you think you know, but you don’t know that until you find out what you don’t know. Does that make sense?!? As many times as my brother and I traveled Jonesboro Road, and even Conley Road, for some reason we never turned down that end. Each time we would ride around searching I kept saying “I think we’re missing something..I think we’re missing something.” It’s amazing. I guess things don’t happen until it’s time. (Or, maybe I am guilty of not conducting a reasonably exhaustive search.) Whatever the reason, I guess the ancestors thought it was time for us to find Rock Springs Cemetery. I am sure there are over 100 graves in the cemetery, but we did not find a headstone or marker for my great grandfather John Wesley Taliaferro, his brother Bob Toliver (aka Robert Taliaferro), or Alex Poole. There were no Taliaferros, Tolivers or Pooles among the many readable headstones. It would be a lie to say that I was not a little sad at not finding physical evidence that my ancestors are buried here. We always want that final piece of proof; the one thing that undeniably confirms “this is the right place”. Surprisingly, that does not tarnish what I consider a great victory in my research. This is an incredible blessing from my ancestors. Not finding evidence of them does not diminish the thrill of the hunt. One more brick wall has come down. There are headstones for some of the other people I know from my research are buried at Rock Springs, and that I listed in my post Rock Springs Cemetery- Lest I Forget. I will have to use them as proof, along with other circumstantial evidence, that this is the same Rock Springs Cemetery where my ancestors were laid to rest. I know in my heart that it is.